Follow our cheap ticket guide to Chessington below packed with 2 for 1 vouchers & promotions for the 2018 theme park season. Once you’ve secured discounted tickets remember our Chessington Guide – Tips To Beat The Queues will help you save both time & money at the park. Pick up tickets to Chessington World of Adventures for just £29pp if you book in advance! This online ticket offer saves you up to £21pp off walk up prices plus a chance to bypass the first queue of the day at the ticket booths. Tickets also come with a attractive Rainy Day Guarantee that offers a FREE return visit should the weather hamper your visit, (more details below). TO BOOK GO TO Chessington World of Adventures Tickets from £29pp. Take advantage of 2 for 1 vouchers for Chessington World of Adventures during the 2018 theme park season, (subject to terms & conditions). Worth being aware that your voucher must be used against on-the-gate ticket prices rather than online discounted prices so consider the actual savings being made per person. Vouchers cannot be used in conjunction with any other deal or discount ticket with more details available at 2 for 1 Vouchers for Chessington World of Adventures. 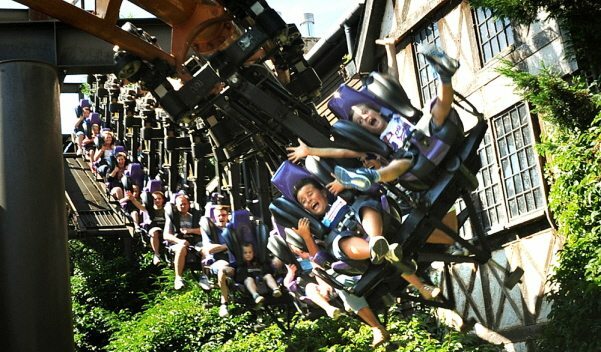 Look out for this 1 day theme park ticket to Chessington plus meal deal offer from just £33pp. This package from Attractiontix secures you entry to the park plus all rides & attractions along with a choice of meal deals . Opt for either a Vampire’s Burger Kitchen Meal or Fried Chicken Co. Meal with savings of up to 42% off walk up packages prices. TO BOOK GO TO Chessington 1 Day Entry & Meal Deal Offer. Regular Tesco customers can redeem clubcard vouchers against daily entrance charges or standard Merlin Passes that can offer substantial savings. You can even upgrade to a Premium Merlin Pass for a further cash payment of around £50pp should you wish. Remember to redeem vouchers prior to your visit as unfortunately they cannot be used at the ticket kiosk on the day of your visit. Take advantage of a Rainy Day Guarantee when you book online at Chessington World of Adventures that offers a FREE return visit if the weather turns sour. This guarantee is only available to those that book online with Chessington, (excludes open dated tickets), for days where is rains for continuously for one hour or more during your visit. There are some restrictions upon when you can return but this guarantee does offer you a great way to hedge your bets against the weather. TO BOOK GO TO Chessington Tickets from £29pp incl Rainy Day Guarantee. Extend your visit with an overnight stay at the Chessington Resort Hotels/Glamping and take advantage of EXCLUSIVE Early Ride Time, a FREE second day at the park & free parking! Overnight guests can enjoy 1 hour access to the park before it opens to the public, (selection of rides & attractions open), that offers you a great method to get ahead of the queues. Combined discounted packages include accommodation, theme park tickets & access to on-site leisure facilities plus promotions throughout the year. TO BOOK A SHORT BREAK GO TO Chessington Resort Hotels – FREE 2nd Day & Early Ride Time. 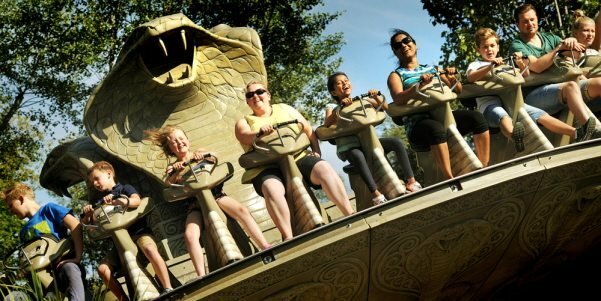 Chessington World of Adventures often runs a great second day ticket to the park from around £7pp that offers value for money. Second day tickets can be booked online at the time of your initial purchase, (simply select the 2 day ticket option) or ask about Bounce Back Ticket Offers at the ticket kiosk on the day of your visit, (these offers only relate to next day tickets only). Here’s a chance to download a 2 for 1 voucher for Chessington World of Adventures when you travel by train. Simply purchase valid train tickets, download your voucher and then present both the tickets & voucher at the ticket kiosks on the day of your visit. This offers one free entry when accompanied by a full paying person and cannot be used with online discounted ticket offers, (excluded dates apply). 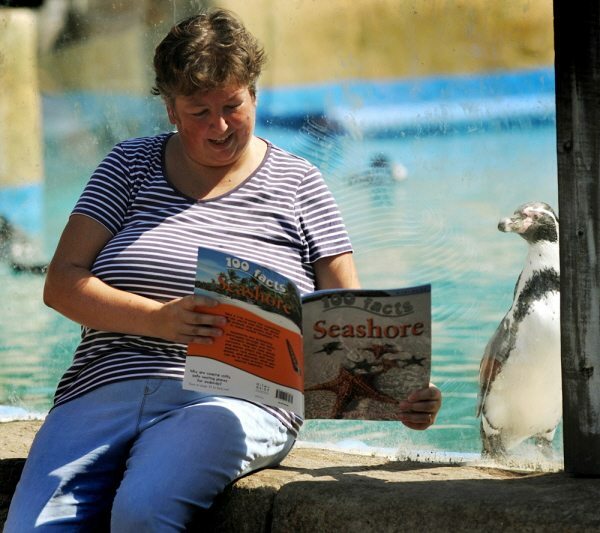 More information is available at Chessington 2 for 1 vouchers – travel by train. FOLLOW OUR Chessington Guide; Tips To Beat The Queues packed with money saving ideas to help you make the most of your visit! Look out for this off-peak promotion that tends to run each season for young families. This offers entry for 1 adult & 1 child under 6 years for around £21 where tickets must be purchased 2 days in advance. Remember under 3’s go free too! More information available at Chessington Adult & Pre-school Child Ticket Offer. If you’ve kept hold of your Kellogg’s 2 for 1 vouchers from last year, good to know that they remain valid for use until 30 June 2018. This promotion offers 1 FREE adult entry when accompanied by a full paying adult or child & can be redeemed online through a special booking site. More information is available at Chessington; Kellogg’s Grown-Ups Go Free Vouchers. Whilst the Blue Peter badge free entry offer remains in place for 170+ visitor attractions around the UK, unfortunately Chessington World of Adventures is no longing participating in this scheme. This new policy came into effect last year & runs across the full range of Merlin Attractions. You can find out more details over at Important Changes for Blue Peter Badgeholders. Each year Chessington World of Adventures runs a FREE ticket newspaper promotion that offers you the chance to entry 2 complimentary tickets to this popular theme park! Simply collect different numbered tokens & follow the application process to the letter for your chance to enjoy free entry. Whilst this free ticket offer has now taken place for 2018, we’ll bring you more details as they come in for next year. This entry was posted on Monday, November 5th, 2018 at 12:09 pm	and is filed under . You can follow any responses to this entry through the RSS 2.0 feed. You can leave a response, or trackback from your own site. Odeon are doing 2for1 Chessington tickets when you go to the cinema. That’s good to know, always on the look out for new 2 for 1 vouchers for Merlin Attractions such as Chessington World of Adventures. 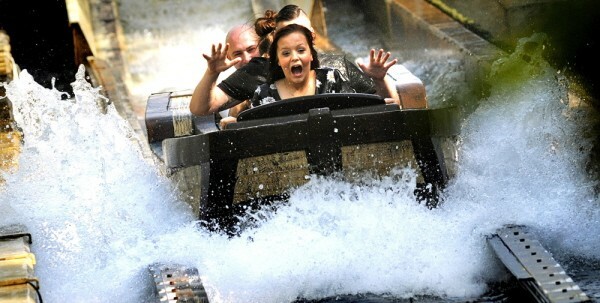 Are there any 2 for 1 vouchers for Chessington that I can use this summer? Hi. It’s my Daughters 21st birthday on 2nd April 2015 and we are hoping that there is a “2 for 1 deal” so we can visit Chessington on that day. We are a family of 4 adults . Hi Sharon, there is an Adults Go Free voucher, (effectively a 2 for 1 voucher), that is valid at Chessington World of Adventures – you can pick this up on promotional packets of Kellogg’s cereals & breakfast bar. Each voucher provides one free adult entry per voucher when accompanied by a full paying person and cannot be used in conjunction with any other offer. If you travel by train to Chessington, you can also download a 2 for 1 voucher for the theme park. More details available over on our 2 for 1 Voucher page. Can you please tell me if there are any deals… 2 for 1 or something? Maxine, you could pick up promotional multi packs of Kitkat that are running a Half Price Offer for up to 4 people at Chessington World of Adventures. Alternatively, 2 for 1 vouchers are available on promotional packs of Kellogg’s cereal that can be used at Chessington. Children under 0.9metres go free of charge at Chessington World of Adventures. Hi, this might me quicker than emailing Chessington direct. I want to book one child one adult ticket online. However we have a voucher from a cereal pack for a free ticket…. From what I read…. This cant be used if I book online? Or am I wrong…. Obviously I want to book online, but if I cant use the free ticket then I can’t… Or I dont want to and turn up on the day only to be told I have to pay full price! Hi Carf, you are right… 2 for 1 vouchers must be redeemed at the ticket kiosk on the day of your visit. This is because you must be accompanied by a full paying adult/child, (depending upon your voucher) and tickets purchased online generally offer a discount off full price tickets. I’m thinking of using Tesco clubcard vouchers to pay for a Merlin Pass but not sure if it is worth upgrading to a Premium Merlin Pass? David, the main advantage of upgrading to a Premium Merlin Pass is that it includes free parking at Merlin attractions that have parking fees in place. To this end it can be worth upgrading one person, (who is most likely to accompany the family during trips to Merlin visitor attractions) within your family to a Premium Merlin Pass to take advantage of this free parking perk. The other main advantage is the lack of restrictions upon use of your Merlin Pass mainly around August & London Merlin attractions & Halloween events in October…worth having an idea of your plans for the year and making a few basic calculations before deciding which way to go. Follow our Guide to Chessington World of Adventures packed with top tips to help you make the most of your day. Our guide to fastrack options available at Chessington World of Adventures to help you beat the queues. Follow our money saving guide to Chessington World of Adventures packed with information to help you enjoy a day on a budget.